Interior Inspiration: Comfortable Mid-Century Style | Valet. 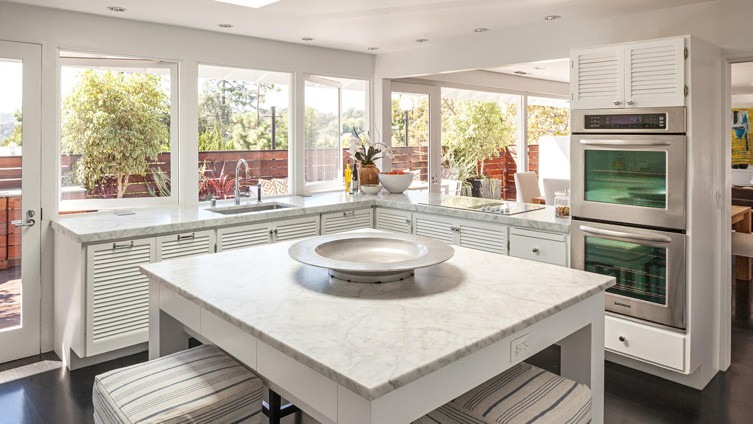 Jonah Hill recently listed his Los Angeles home (and sold it well above asking price) and the mid-century modern house has a ton of style. Located in the Laurel Canyon area of the Hollywood Hills, the low-slung ranch style home was originally build in 1959 and still boasts a lot of Rat Pack style and charm. Take a look and take a few design tips away from the open, airy and relaxed design. The more personal the better. Display your items proudly. From travel souvenirs and family heirlooms to simple snapshots and pieces you've gathered over the years that make you happy. These are the items that make your place look like you. Hill's home benefits from these floor-to-ceiling windows, but even without glass walls, you can get some nature in your place with a few well-placed plants or more natural wood pieces like this console table. Big art = big statement. 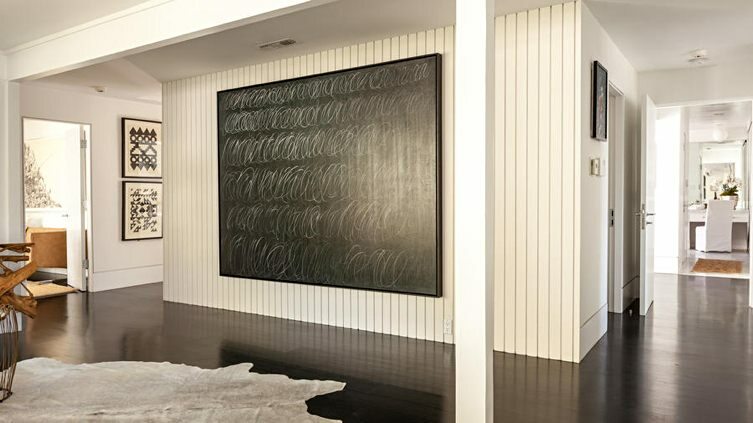 Instead of a gallery wall packed with frames, choose a single, large scale piece to make a singular artistic statement. Even in smaller spaces, one large piece makes a room look larger. A tidy kitchen looks larger. Keep your counter clutter to a minimum for a clean, modern and larger looking kitchen. A nice plant and an interesting piece of pottery is all you really need. Guys especially can veer towards neutrals when outfitting their home. But some carefully placed color in your living room adds a sharp, stylish contrast to the room. Nothing manages to give your place that unique or collected feel more than an interesting assemblage of roughed-up vintage pieces. Check out some architectural salvage warehouses for unique items.